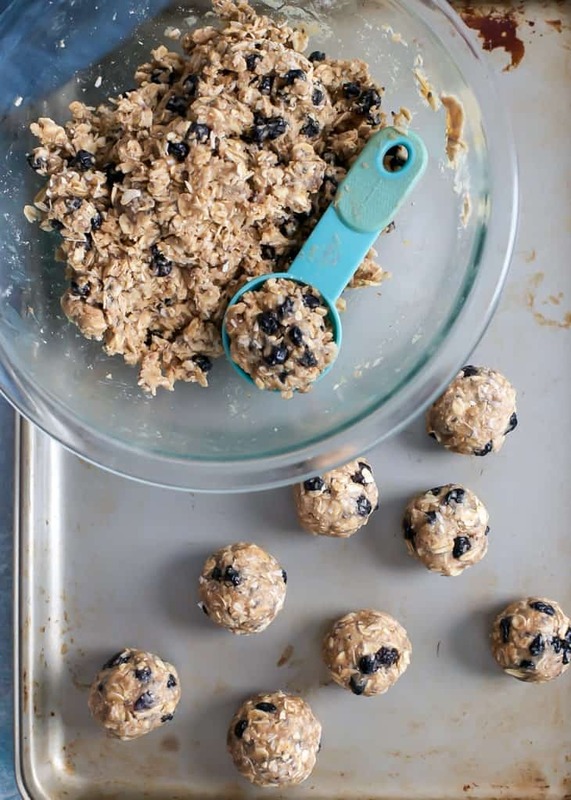 These Blueberry Coconut Oat Energy Balls are great for on-the-go snacking. Healthy fats and carbohydrates, plus a boost of plant protein! Vegan and gluten-free. So how is everyone’s week going?! Mine feels like it’s been going a little slow, not going to lie. TGIAF though. Got some fun recipes planned to test this weekend. And I finally made a haircut appointment (because I know you were all wondering). My hair is the longest it’s been in… gosh I don’t know, five years? And I no longer have bangs. Which is just kind of weird for me! (Again, because you all know…) But I can’t say I HATE it… I’m on the fence. I love being able to throw my hair into a messy bun for the gym and not worry about bobby-pinning the crap out of my bangs to get them to stay put. But then I kind of miss them at times. It was like a sense of security for me. Sorry, why are we talking about bangs again? We’re here for the balls. DUH. So as one could have guessed, snack balls are pretty awesome. They’re easy, quick, and freaking tasty. I started with my super trusty original oat ball recipe, and changed some things up from there. 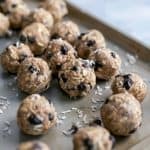 While I will use whey protein in my morning shakes, I like the addition of plant protein to balls and bars because the texture holds up just a little bit better in comparison to adding whey. I also enjoy getting a balance of protein from a variety of sources. The great thing about this recipe is the ball mixture comes together in a matter of less than five minutes, and no food processor needed! Then I like to refrigerate the mixture for about 20 minutes, so the dough is easier to roll into balls. I then scoop the mixture into a rounded tablespoon, roll em up, and store them in an airtight container in the fridge. But seriously these little guys are delightful and a nice change up from the common peanut butter chocolate chip ball. I shared these with Drew’s family recently and they devoured them! Always fun to surprise them with healthy snacks that taste good and are good for them. You can never have too many snack balls. Especially when they’re blueberry coconut. In a large bowl add oats, protein powder, spices, coconut flakes, dried blueberries and chia seeds; stir until combined. In a small bowl stir together nut butter, honey and vanilla extract. Use microwave to melt nut butter and sticky sweetener together if necessary. 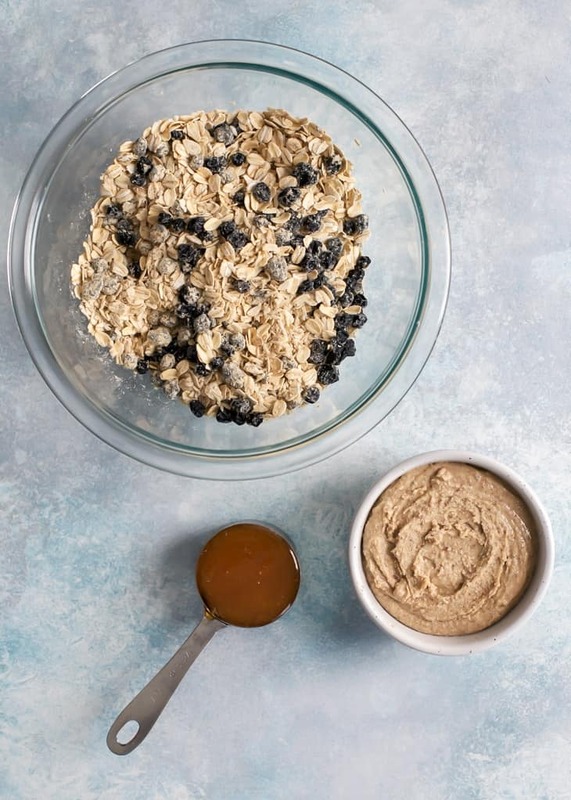 Add nut butter mixture to your bowl of dry ingredients, stirring gently with sturdy spatula until mixture comes together. Add milk 1 tablespoon at a time, mixing until fully combined. Use your hands if necessary to ensure everything is well coated and combined. Let dough ball mixture sit in fridge for 20-30 minutes for easier ball making. Once set, using a rounded tablespoon scoop dough and roll into balls. You should get about 24 balls. Store balls in airtight container in the fridge up to 2 weeks, or store in freezer for a longer period of time, about 1-2 months if stored properly. -Depending on your protein mixture, I suggest adding milk one tablespoon at a time, until mixture is only slightly wet, but thick. balls FTW! Love this combo. I’m not a fan of coconut but you’re still making me drool, girlfran. Gorgeous photos as always! I LOVE that these don’t require a food processor (cleaning my FP might be my most loathed job in the kitchen) ANNND they look soooo yummy. BLUEBERRY BALLS FTW! Thanks Leah! I am just getting used to using my food processor for a lot of different things, but 1. I know not everyone has one and 2. throwing everything in a bowl and mixing by hand is so easy and quick! Blueberry and coconut is such a delicious combo. Pinned! Totally agree. Thanks for the pin love Pragati! YUM! I have yet to try pea protein…I usually use hemp protein and loveeeee it, but pea protein definitely intrigues me! These BALLS look delish! Love all the superfood ingredients! I’m horrible at getting my haircut regularly! It happens like twice a year. I don’t know how men do it every couple weeks although theirs take much less time. 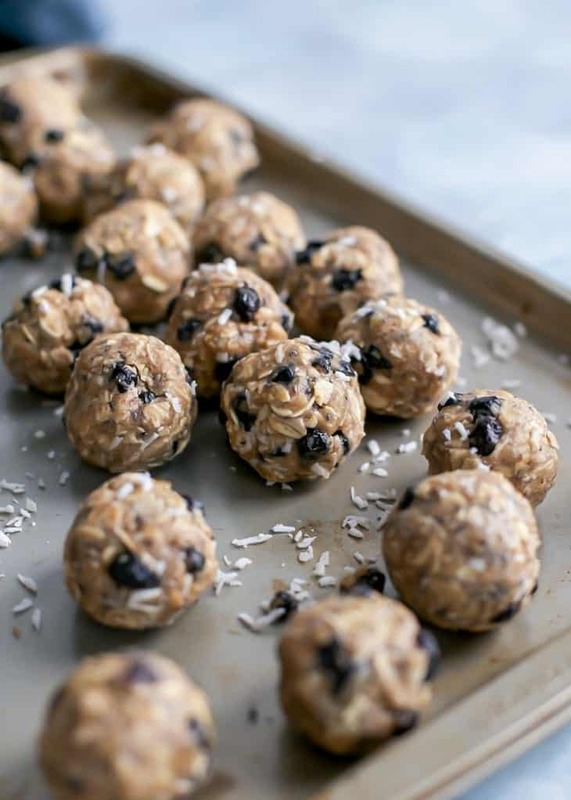 Balls with coconut flour need to happen! Yes, the priority for haircuts has really gone down lately. AH WELL. Yes, pumpkin took over my life for sure, haha. Oooh love the blueberry + coconut combo. I don’t think I’ve ever baked with dried blueberries! Every time I asked for bangs, I just end up pinning them back. No bangs for me, anymore! I ran out of my bites (well I had 2 left) last weekend so I had to whip up another huge batch for the freezer! They are a must! These look SO good! Haha lol-ed at “you can never have too many balls” #aintthatthetruth. 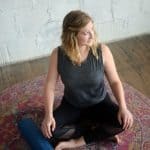 Keep up the amazing posts girlfriend! I mean, it is just hard to say in a post so many times in different sentences without laughing, LET’S BE REAL. 😉 Thanks Beth! Yay! I’m all about the energy balls! 😛 These look great! I mean who isn’t?! We can’t be friends if you don’t like balls, just sayin 😉 Thanks Farrah! YUM! I have to give these a try! Mmm, noted about the fridge time, thanks for letting me know! Also, unflavored might be best in balls like these? Unless you LOVE your flavored protein, anything made with it will alter the final taste outcome. I’ve been really liking the MRM veggie vanilla, it’s not TOO overpowering for me. Especially for bars. 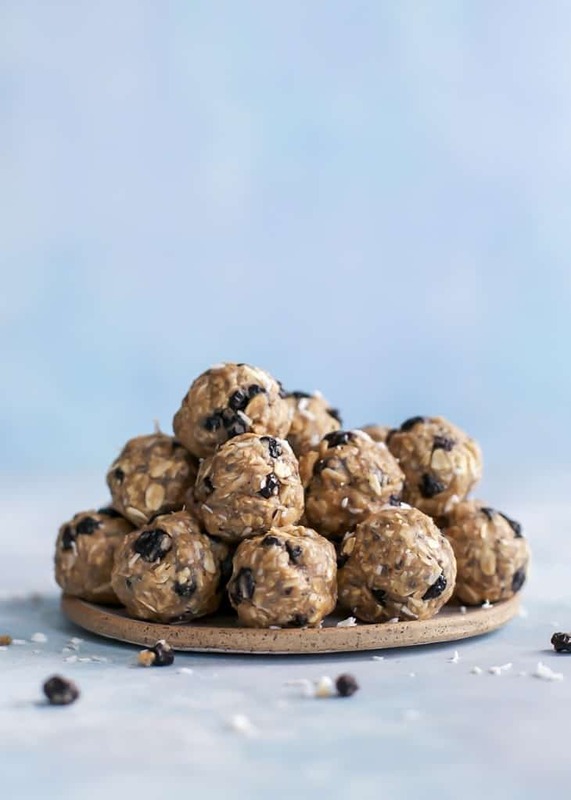 I love making energy bites, they are super easy to throw together with few ingredients! I have to admit that I haven’t tried dried blueberries in balls before! But I love it. Sometimes I feel trapped in a chocolate or peanut butter flavor when it comes to balls but then I’m not always in the mood for that when it comes time to eat one! Where do you get your dried blueberries? Oh dried blueberries are such a good add-in! I totally know what you mean with the PB trap though. But I can’t remember if I found these at my local store or Target! They are a Michigan based company (Cherry Bay Orchards) but I’m fairly certain they’re sold in various places. I got dried blueberries at Trader Joe’s. The bites came out ok. I used whey protein & probably didn’t add enough liquid so they barely held together. Next time I’m going to adjust the ratios & sub in some cooked quinoa. 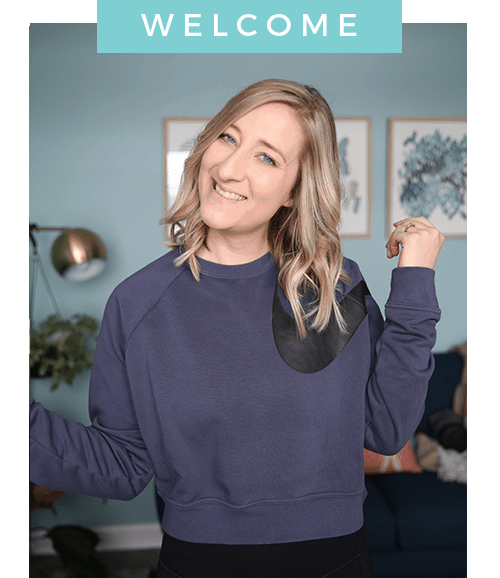 Hi Kelli, thanks so much for your feedback. Sometimes the liquid part can be tricky and you just have to use your own judgement when it comes to how much to add. I typically add one tablespoon at a time and test the mixture by trying to make one ball. If it feels dry and doesn’t hold together, I add more liquid or just a bit more nut butter.